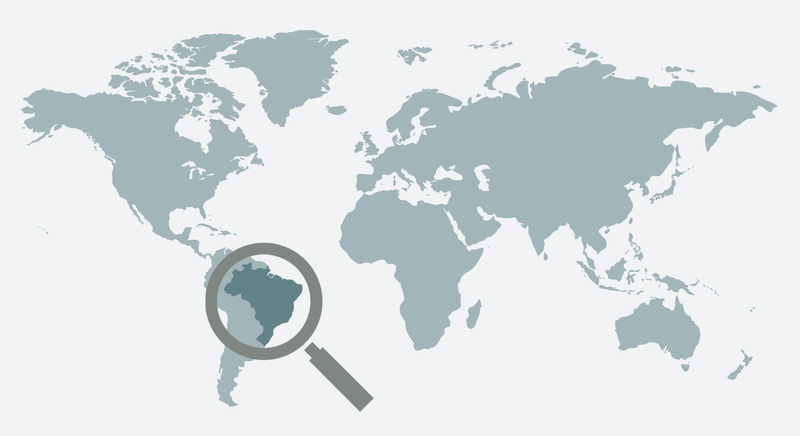 One of the most remarkable advances that have occurred in Brazil’s research communication is the growing adoption of the English language by Brazilian journals indexed internationally. Among several countries whose native language is not English and publish internationally indexed journals, Brazil stands out in the progressive increase of English publishing, nevertheless remaining as the country with the highest proportion of articles in foreign languages among countries with the largest scientific output including the Humanities and Social Sciences, that traditionally use native languages (Table 1 and Table 2). (*) equation of the line for Brazil: y = 0.0267x + 0.7755, r2= 0.9797, for 2010 to 2014, because 2015 is incomplete in the WoS. (*) equation of the line for Brazil: y = 0.0588x + 0.4203, r2 = 0.9523, for 2010 to 2014, because 2015 is incomplete in the WoS. This trend occurs mainly among journals indexed in SciELO Brazil (Figure 1), which from 2014 reached a milestone when started to publish more in English than in Portuguese. Another important aspect of this development is the simultaneous publication in Portuguese and English, which went from 13% to 17% of the articles of the collection in the last five years. This sharp growth of publication in English language in recent years expresses the decision of journal directors to enhance and expand the insertion of the research published in the international flow of scholarly information in conformity with the policies and actions of the SciELO Program towards internationalization. In fact, the SciELO indexing Criteria establishes minimum and recommended percentages of articles in English for all the journals and by major thematic areas. Table 3 presents these expected percentages and their occurrence in 2015. It can be noted that in 2015 the required minimum and recommended percentages of articles in English have already been met by journals of four thematic areas: Multidisciplinary, Life Sciences, Health Sciences and Literature, Language and Arts. However, most areas still do not meet the minimum percentage required – Agricultural Sciences, Applied Social Sciences, Engineering, Exact Sciences, Earth Sciences, and Humanities. The overall SciELO Brazil collection meets the minimum percentage of articles in English, but not the expected percentage, i.e., the recommended amount. Considering the growth rate of publication in English based on the evolution in the past five years by thematic areas, Table 4 shows the percentages projected for the forthcoming years, projecting the year that each area will reach the minimum and recommended percentages. Life Sciences, Literature, Language and Arts, Health Sciences and Multidisciplinary journals achieved in 2015 the percentages expected according to the SciELO Criteria. The thematic areas Agricultural Sciences, Engineering, Exact Sciences, Earth Sciences, Humanities and Applied Social Sciences should reach the minimum required in 2017, provided the growth rate of the last five years is kept and the same composition of the thematic areas is maintained. The collection as a whole will only reach the expected percentage of articles in English in 2019. However, the expectation of SciELO is that the adoption of English language will be accelerated in the next two years. The adoption of English language is an editorial policy decision which involves incentives and barriers related to the research priorities, idiosyncrasies of their researchers’ communities, public interests and target audiences involved as well as financial resources for translating into English or revising it. In fact, as shown in Table 4, the receptivity and relevance with which English is perceived among those responsible for the journals and their researcher communities varies significantly among the thematic areas. A solution that the SciELO publishing methodology makes available to editors is multilingual publication in order to meet different audiences, either with the possibility to communicate a set of articles in English or even the simultaneous publication of articles in Portuguese and English, an option made by a significant share of 35% of the articles in Health Sciences (Table 3). Based on the evolution of the last five years, the SciELO Criteria projects a percentage of 75% of the articles in English and 40 to 50% of articles in Portuguese considering the simultaneous bilingual publication of articles between 15 and 25%. The collection of already indexed journals should address this proportion as soon as possible, while indexing of new journals will require to meet the minimum criteria whenever the area has already reached the minimum percentage required. Internationalization as a line of action of SciELO projects to maximize the international insertion of SciELO, of its journals and the research they publish. However, the use of English is one of the three conditions of internationalization of journals defined by SciELO. The other two predict minimum percentages of foreign researchers in the editorial boards and editorial processes and a minimum percentage of foreign authors. The expectation is that the internationalization of the journals will decisively contribute to increase the visibility and impact of the research they communicate. MENEGHINI, R., and PACKER, A.L. Is there science beyond English? EMBO Reports. 2008, vol. 8, nº 2, pp. 112-116. DOI: 10.1038/sj.embor.7400906.